Pretty much everyone loves Mad Men, but if you're a copywriter in Austin and work in advertising, it's literally the talk of the office. It makes it hard to avoid spoilers if, like me, you're living a cable-free life. That is till I found out you can watch Mad Men season 5 online on AMC. And the design/furniture/clothing is just as fantastic this season, if not better. 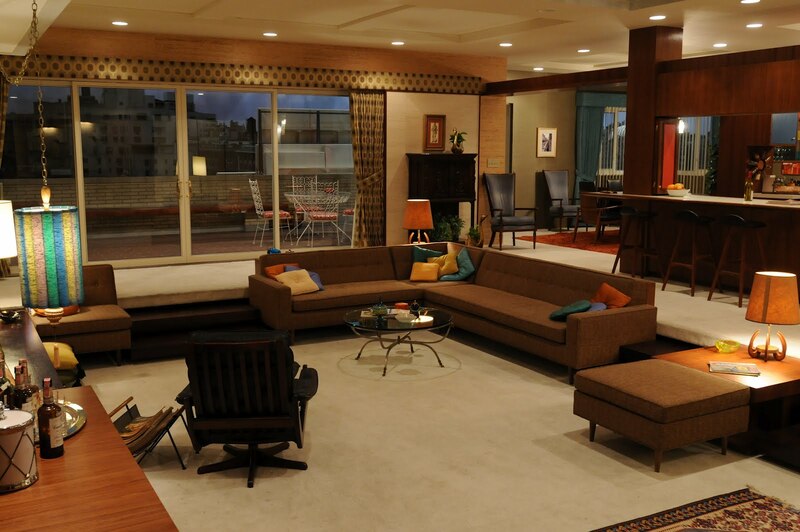 Don's new apartment might be the best of the best. Check out all the glamor shots here, and don't miss the kitchen. I'm with you A Mod. I just couldn't get "into" the show itself. The sets are great and the people are beautiful to look at...but I just didn't "care" about any of them or what they were up to. It didn't seem to be a show about anything more than the time it depicts. Maybe it got better later. We started with season 1 on Netflix and I'm not sure how far we got but we gave up trying to like it. Now I'm watching Rescue Me. Love it. Hmmm, season 1 was actually my favorite. In my opinion it went a bit downhill from there. The characters just kind of become more and more unlikable as the story progresses. I, personally, think Mad Men is one of the best, if not the very best, shows on television and the characters have gotten more substance as the story progresses across the seasons. It's attention to detail to that time period is amazing and not only are the sets and costumes almost always spot on, the dialogue and references are, too. Matt Weiner is a genius! And Jon Hamm is incredible. Of course, I am a TV addict so I don't understand a cable free life at all! ;-) Rescue Me rocks, too, and sadly, is no longer on television.